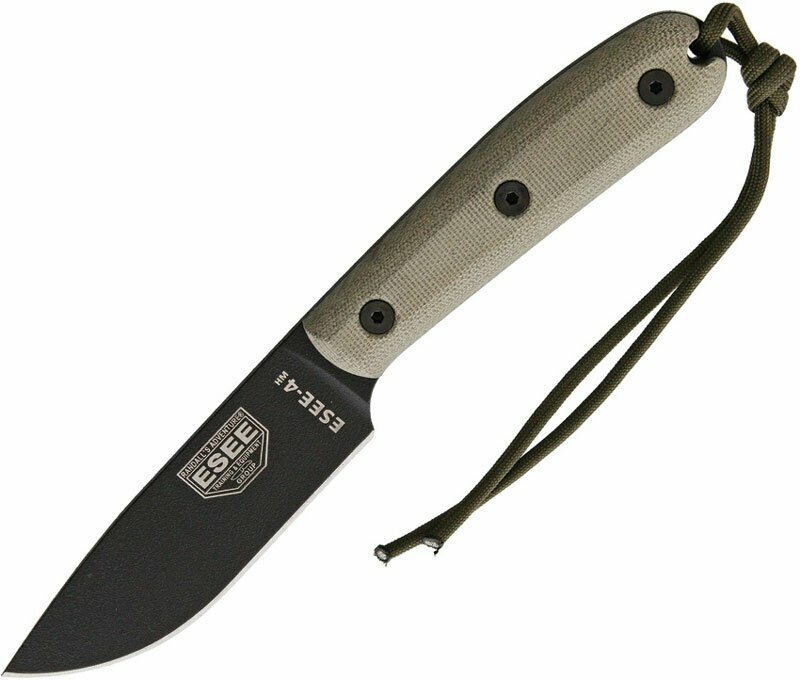 ESEE Model 4 Plain Edge with Modified Handle(ES4HM) Knives, throwing knives, fantasy knives, movie knives, tactical knives, hunting knives, etc. ESEE Model 4 Plain Edge. 8,875" overall. 4,375" blade. Powder coated 1095 carbon steel drop point blade. Full tang with lanyard hole and cord. Micarta handles.Comes with black leather sheath.